Talking to an online psychologist gives you the opportunity to access professional services without having to leave your home or work. We operate across Australia which allows us to easily cover all timezones. 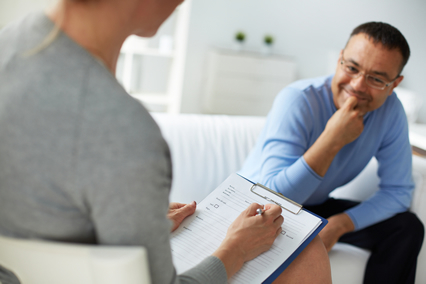 All of our therapists are Registered Australian (AHPRA) Psychologists. You will be offered a choice between Secure Video and Unlimited Online Counselling (via secure messenger) for more information on this please go here. Secure Video sessions are like ‘virtual’ therapy, so you will be able to see and hear who you are speaking to, just as you would in a traditional face to face session. For a video session you will need a reliable internet connection and a tablet, smartphone or computer. If you prefer a phone appointment we can organise to call you for the scheduled consultation, wherever you are in the world, at no extra cost to you. Phone and video sessions are normally 50-60 minutes in length but this is flexible and can be arranged to fit into your schedule. Appointments are available during business hours, early morning, evening and weekends. Talking to a counsellor or psychologist online.. is it effective? Need help? Ask an online psychologist. Online Services are now offered by a range of health professionals, including doctors, psychiatrists and psychologists. A number of studies have demonstrated the effectiveness of Online Psychology. One such study recently found online cognitive behaviour therapy for depression was as effective (if not more so) than traditional face to face sessions (Beatie, Shaw, Kaur & Kessler, 2009; Kessler et al 2009). Research also indicates that people are likely to feel less inhibited when using online services. This is particularly useful if you are experiencing a high level of anxiety that makes it hard for you to discuss these concerns face to face. Speaking to an Online Psychologist is appropriate for many common psychological concerns, including depression, anxiety, panic, phobias, trauma, sleep difficulties, weight concerns, worry or stress, managing pain, intimacy or sexual problems, anger and adjusting to life changes. Please contact us for an appointment with our internet psychologists or book online.